’19 CORVETTE ZR1: KING OF THE ROAD & TRACK! 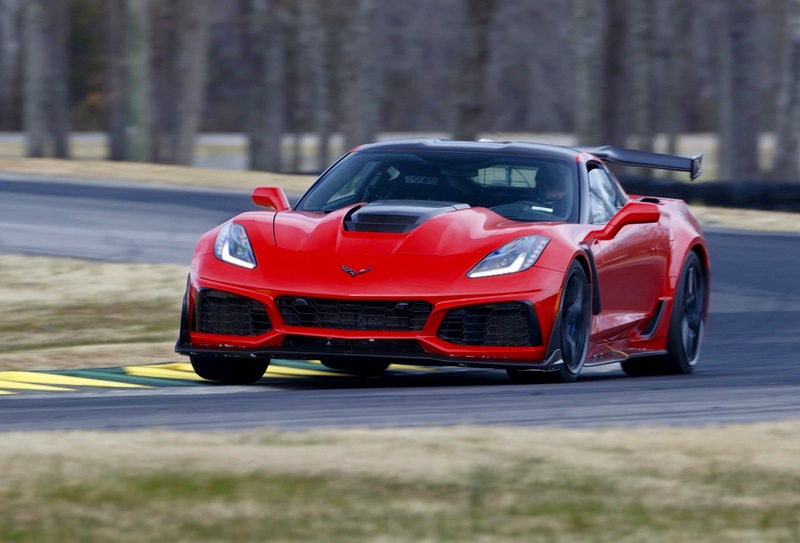 The ‘19 Corvette ZR1 set a production-car lap record on the 4.1-mile Grand Course West at Virginia International Raceway with a time of 2:37.25. Along with a harness bar and track seats with five-point harnesses, the record-setting stock ZR1 coupe was equipped with the available paddle-shift eight-speed automatic and ZTK Performance Package. The ZTK package includes an adjustable carbon-fiber High Wing, a front splitter with carbon-fiber end caps, Michelin Pilot Sport Cup 2 summer-only tires, and specific chassis and Magnetic Ride Control tuning. On sale this spring, the ZR1 coupe will carry a suggested retail price of $119,995 (price includes destination charge, but excludes tax, title and other dealer fees). The ZTK Performance Package will cost $2,995. The ZR1’s record lap at VIR was set during routine validation testing earlier this month; with vehicle dynamics engineer Jim Mero at the wheel. The car was set up per the owner’s manual’s recommended track alignment and aerodynamic settings. 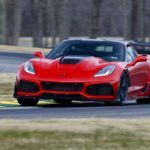 As part of the validation, the ZR1 was finalizing its total of 24 hours of at-limit track testing, with multiple GM Performance engineers logging laps. The ZR1’s exclusive LT5 6.2L supercharged engine is rated at an SAE-certified 755 horsepower and 715 pound-feet of torque. It features a new, more-efficient intercooled supercharger system, along with GM’s first dual fuel-injection system, which employs primary direct injection and supplemental port injection. Compared to the supercharger system on the Corvette Z06 LT4 engine, the LT5 employs a larger, 2.65-liter supercharger that generates more boost while spinning at a slightly slower speed. That reduces heat to help maintain a lower air intake temperature for optimal performance. Four new radiators also help manage cooling in the ZR1, which features 13 radiators in all, including circuits for engine oil, transmission and differential cooling. The post ’19 CORVETTE ZR1: KING OF THE ROAD & TRACK! appeared first on Car Guy Chronicles.